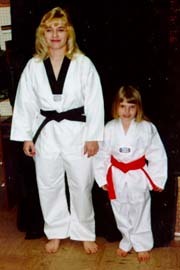 The following chart can be used to help determine Martial Arts uniform sizes. All sizes are approximate to the best of our judgment. They are guidelines to help you choose your size. Everyone’s body shape is different, so you be the judge. If you are over size 7, We suggest that you only wear heavy weight uniforms because of increased durability and strength. 1 4’6 to 4’9 up to 100# 18 in. 2 4’9 to 5’2 up to 115# 22 in. 3 5’3 to 5’6 up to 135# 26 in. 4 5’6 to 5’9 up to 175# 34 in. 5 5’9 to 6’0 up to 200# 40 in. 6 6’0 to 6’4 up to 240# 44 in. 7 6’4 to 6’7 up to 280# 50 in. 8 6’5 to 6’8 up to 310# to 28 in. 54 in. 9 up to 6’8 up to 340# to 32 in. 60 in. 10 up to 6’8 up to 370# to 35 in. 66 in. 11 up to 6’8 up to 400# to 38 in. 72 in. 12 up to 6’8 up to 430# to 42 in. 76 in. These uniforms are the highest quality 10 ounce fabric available. Most other suppliers only carry to size 8; we have our 10oz Gis available through size 12! Colors are Black or White. 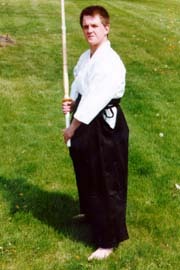 These are the pants that are worn in Aikido, Iaido, Kendo, and most forms of Japanese Sword Training. Available in Sizes 2 thru 6. Color is black . 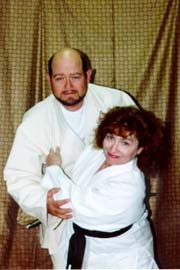 Judo uniforms are single weave bleached white. sizes 0 thru 8. Double Weave are only available in bleached white, sizes 3 thru 12. 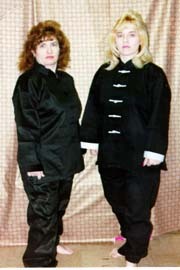 These uniforms are available in black with white cuffs. Available in sizes 0 thru 7. Ninja uniforms are made of top quality fabrics. 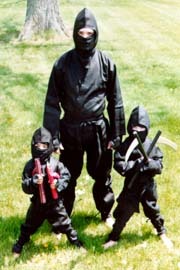 These are real Ninja uniforms, not cheap costumes. Available in black only. Includes 2 piece hood, hand gauntlets, top, and pants. Sizes from 0 to 6. 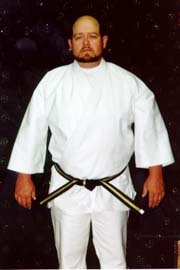 White mid weight uniform, with V neck , elastic waist pants, pullover top. Available in sizes 0000 thru 8.